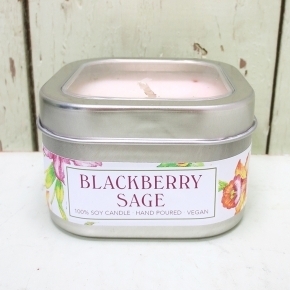 The smell is very berry fresh with a note of sage to give it herbal feel and cut down the sweetness. We have added alkanet root and sage to the wax for a little color. Hand poured in Michigan.